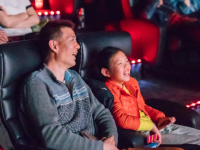 Arranging: The clients can choose a specific time and place for their private screening events. 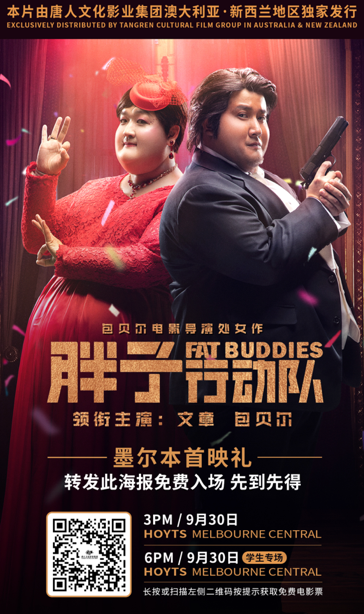 Fat Buddies is an action comedy movie, staring Wen Zhang and Bao Beier. 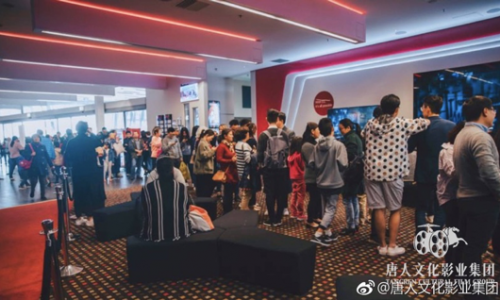 The premiere events were held at Sydney Event George St, Hoyts Melbourne Central and Brisbane Event Myer City, Hoyts Sunnybank at the same time! Before the event, TANGREN had an interactive communication with Company A in order to know about their target customers. TANGREN customised an ideal promotional plan and collected customers’ information for Company A. The event was promoted on social media platforms in the cities where the event was held. 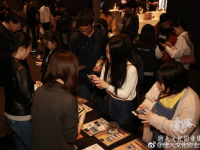 For the purpose of enhancing the company’s brand image and increasing their influence in the market, the event was also promoted in a large scale through online and offline platforms.  The services that TANGREN provided for the company include making commercial clips, editing videos and converting video files. 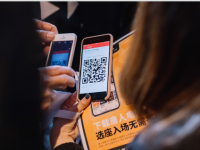 In addition, TANGREN prepared a media wall with sponsors’ logo, posters and all materials needed at the event, such as gifts, roller banners and seat tags. 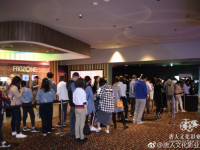 On the day of the event, TANGREN’s staff arrived at the cinemas in advance to check and to made sure that the DCP and the film can be played successfully. 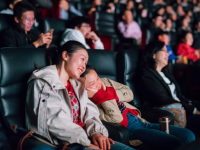 The other services that TANGREN provided at the event include assigning personnel tasks and setting up, confirming the floor plan with the staff at the cinemas, making photography arrangements and so forth. During the event, a large number of people gathered around. There were many business groups, people from local Chinese communities and students. Over 1500 people joined the event. People were using TANGREN APP to secure their seats online with the help of TANGREN and Company A’s staff. The evet was well arranged and organized. 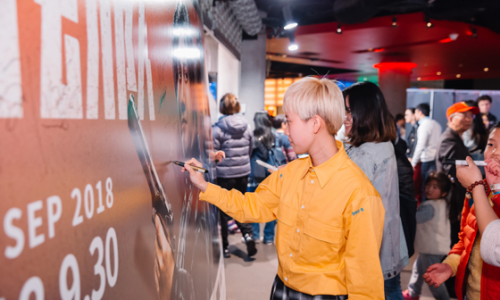 After watching the movie, filmgoers signed their names on the media wall. The editor and journalist from TANGREN interview some filmgoers, and they all give compliment to the movie. They hope they can join more event held by TANGREN in the future. After the event, TANGREN edited and sorted out videos and photos of the event. TANGREN and Company A did post-event evaluation together by summarizing the event with other media platforms. 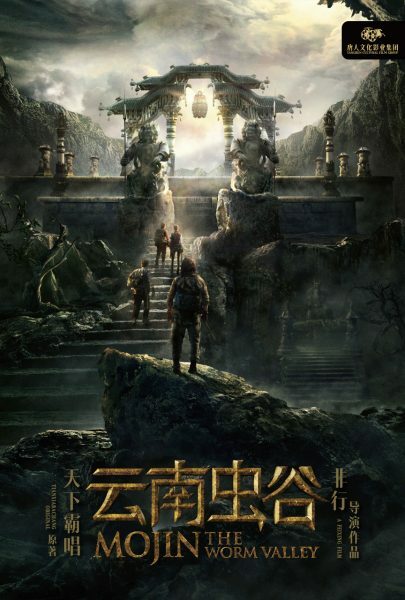 Company A gained supports and attentions from filmgoers. Company A expressed their gratitude to the event and they will seek for further cooperation with TANGREN. 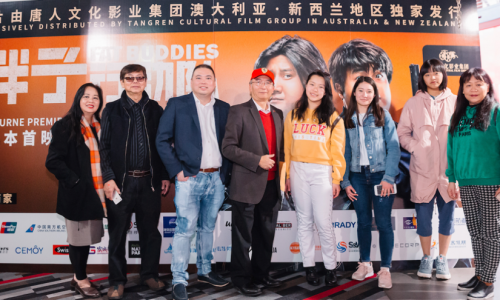 Together with TANGREN, more high-quality Asian films will be brought to Australia in the future. One-week free pre-show ad screening (at specific cinemas). Two-week pre-event online and offline promotion. Promotion on TANGREN official media platforms. Staff from sponsor’s company can be assigned where needed. The customers can collect movie tickets directly from the sponsor’s nominated pickup location. 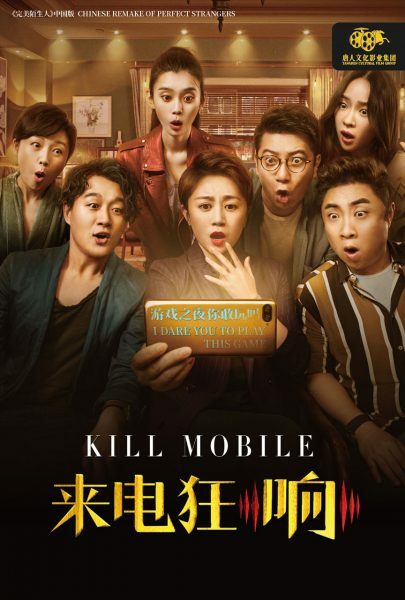 Jointly promoted by the renowned local cooperative media platforms. The sponsors logos will be printed on the gift bags (at the prime area). Free gifts, brochures or leaflets can be provided in the gift bags. One of the roller banners can be placed at the screening gate, sponsors can choose the placement location. Logos printed on gift bags. One of the roller banners can be placed at the screening gate.